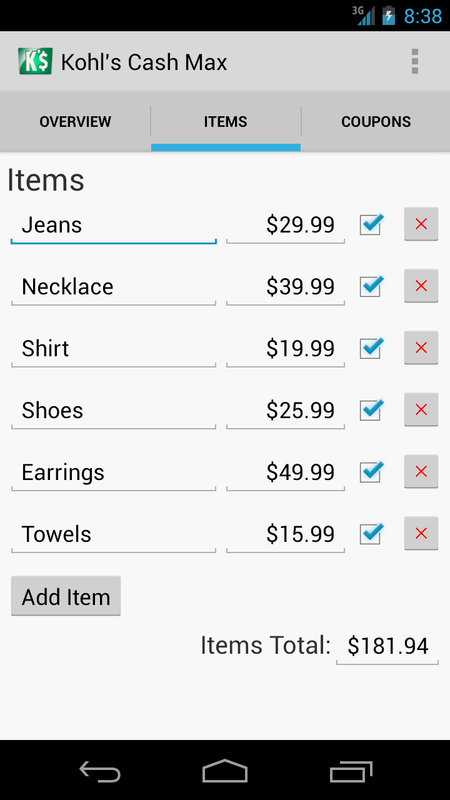 Kohl’s Cash Max is an Android app you can use while shopping at Kohl’s to maximize the Kohl’s Cash you earn. Calculate your Kohl’s Cash earnings BEFORE you check out. Maximize your Kohl’s CASH. 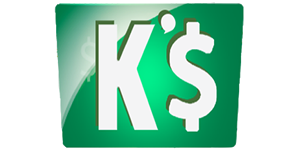 Calculate your Kohl’s Cash earnings BEFORE you check out so you never end up being just a dollar or so short of another level. It can be hard to keep track in your head of how much Kohl’s Cash you’ve earned, especially if you’re using previously earned Kohl’s Cash, dollar off coupons, and/or percent off discounts on today’s purchase. Sale prices will be totaled and coupons (including previously earned Kohl’s Cash coupons) and any discount percent will be subtracted before today’s Kohl’s Cash is awarded. 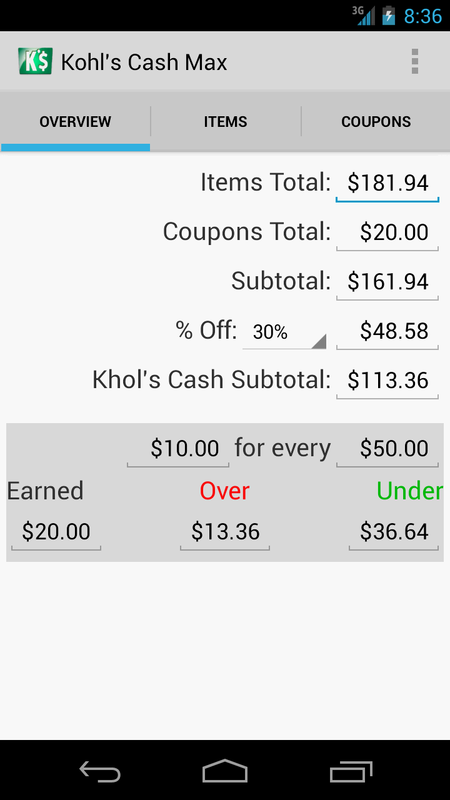 Use this Max Kohl’s Cash app while shopping and see instantly how much more money to the next Kohl’s Cash level or how much money you’re over a level so you can decide how to maximize your Kohl’s Cash earnings. 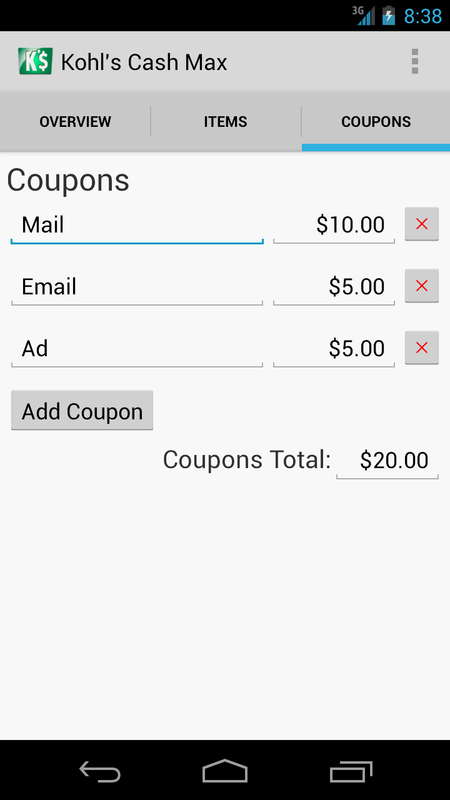 Enter each item you may purchase, all dollar off coupons and your discount percent so the app can do the math for you. If you’re under just a little, you may decide to add another item to put you into the next level. Or if you’re over too much, you may decide to wait and purchase one of your items with the Kohl’s Cash you’ll earn today. Either way, our Max Kohl’s Cash app takes the guesswork out of maximizing your Kohl’s Cash earnings and eliminates the cash register regret of realizing you just needed a little more money to get the next Kohl’s Cash level or that you should have saved an item for a later purchase. Not affiliated with Kohl’s Department Stores, Inc., Kohl’s Corporation, or Kohl’s Illinois, Inc. “Kohl’s” and “Kohl’s Department Stores”, as well as related product and service names, design marks and slogans, including “Kohl’s Cash”, are registered trademarks of Kohl’s Illinois, Inc.